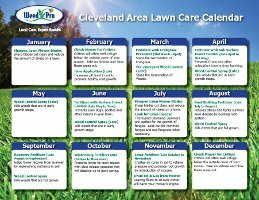 Here is Your Free Cleveland Lawn Care Calendar! Remember, Weed Pro stands ready to assist you with your lawn care needs. People are often shocked by just how affordable it really is. You can receive a FREE, No-Hassle Satellite Estimate & Quote by email just by CLICKING HERE.